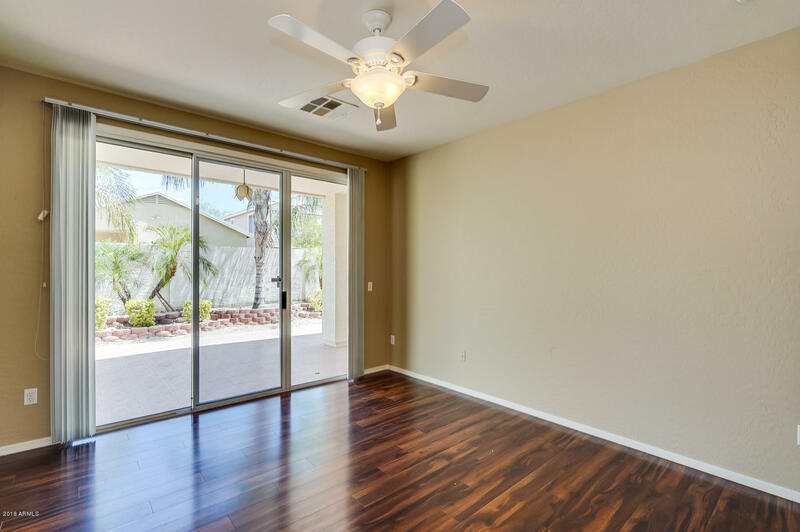 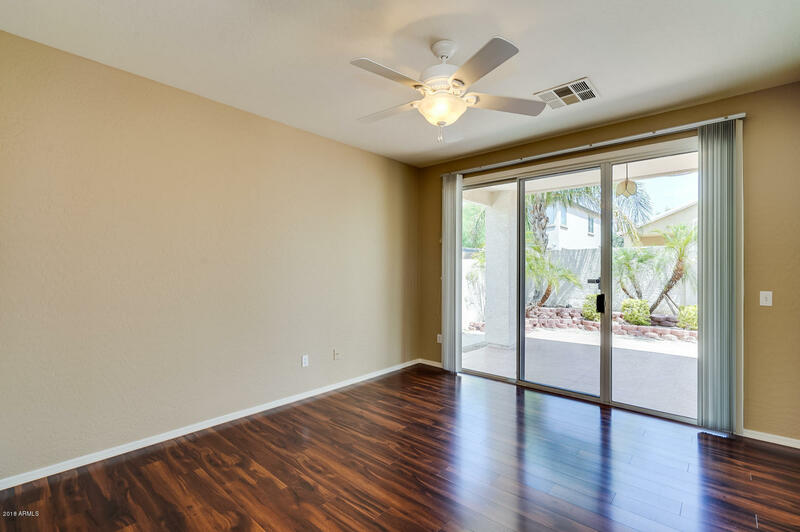 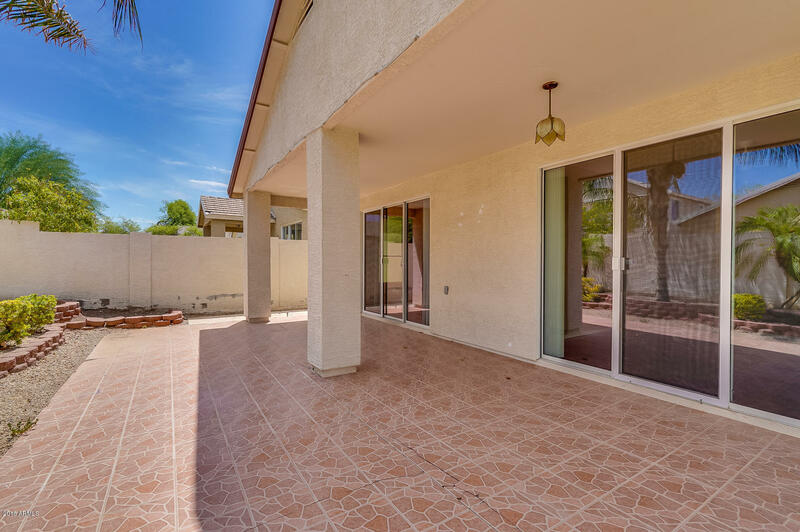 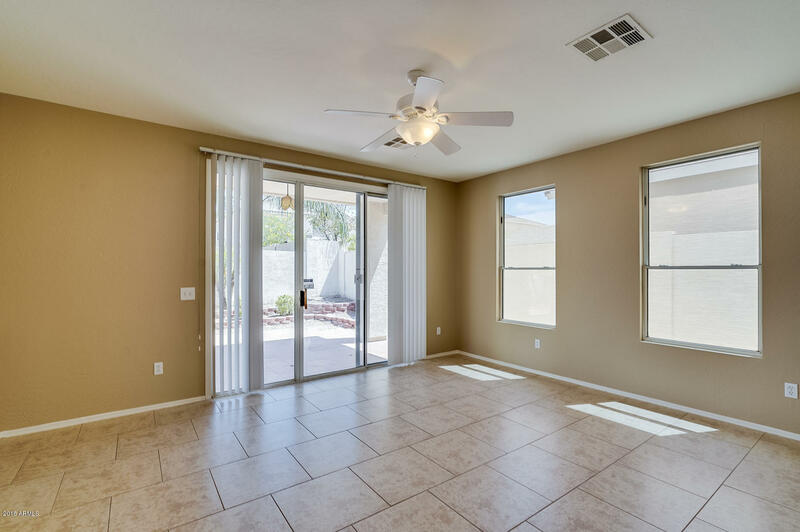 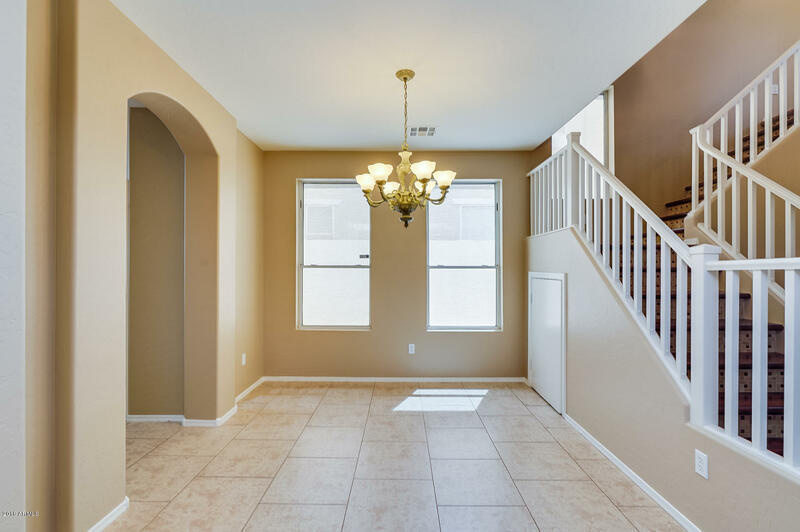 This turn key ready home features welcoming courtyard upon entry and new two tone interior paint throughout. 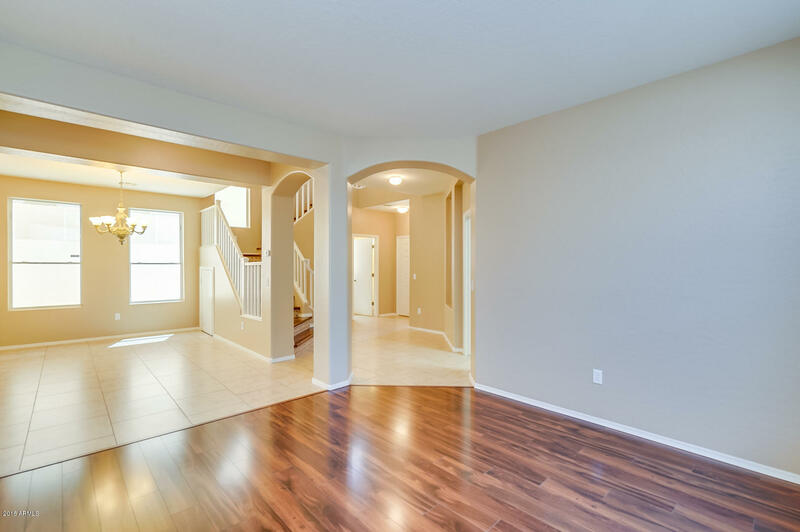 Two-story home with over 2600 sqft of living space and 4BRs/2.5BA. 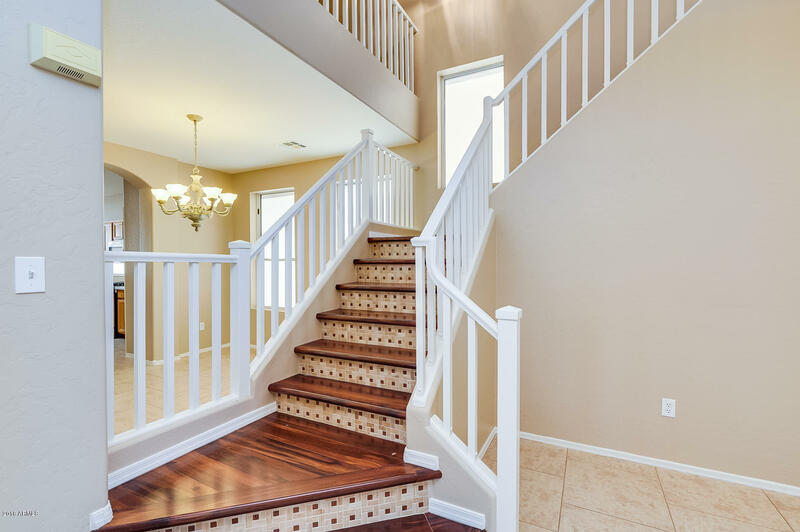 Tile in all the right places with laminate flooring in formal living area and stairs. 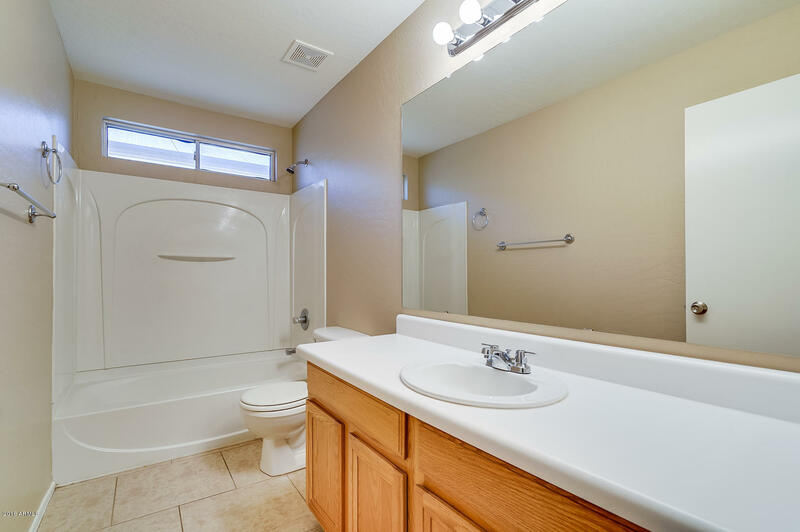 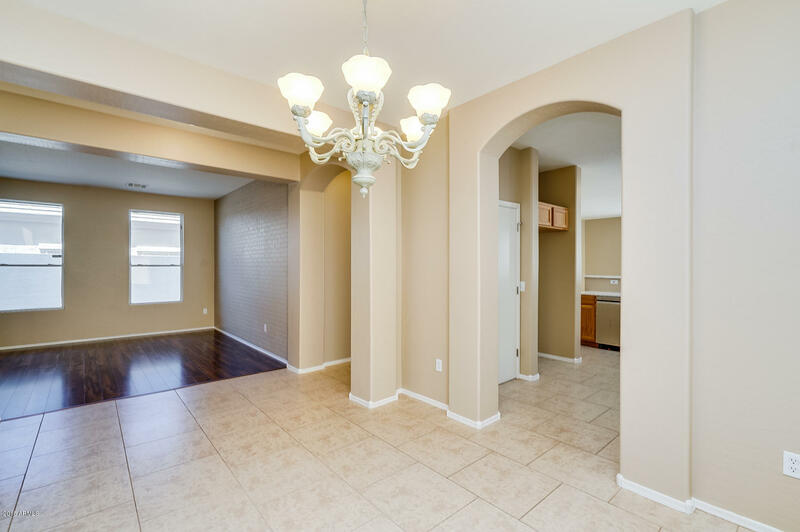 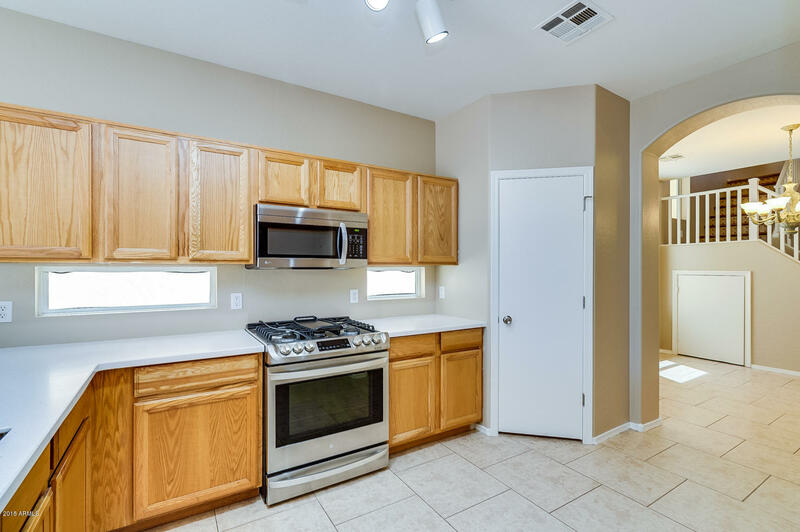 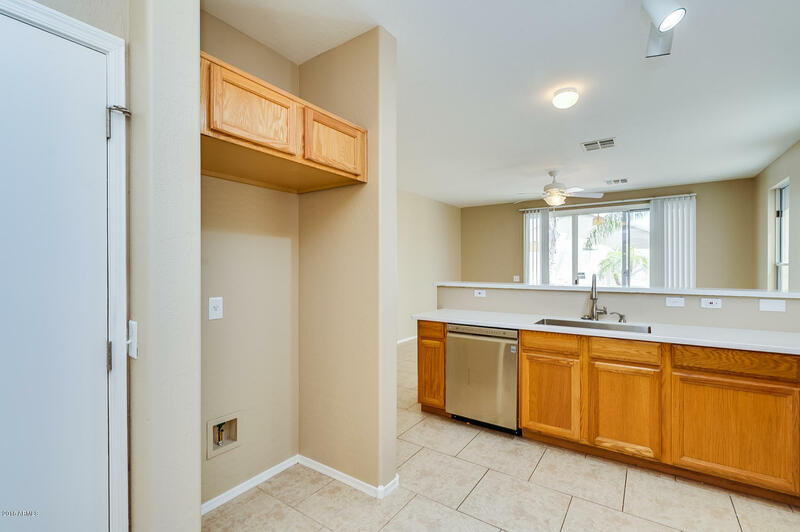 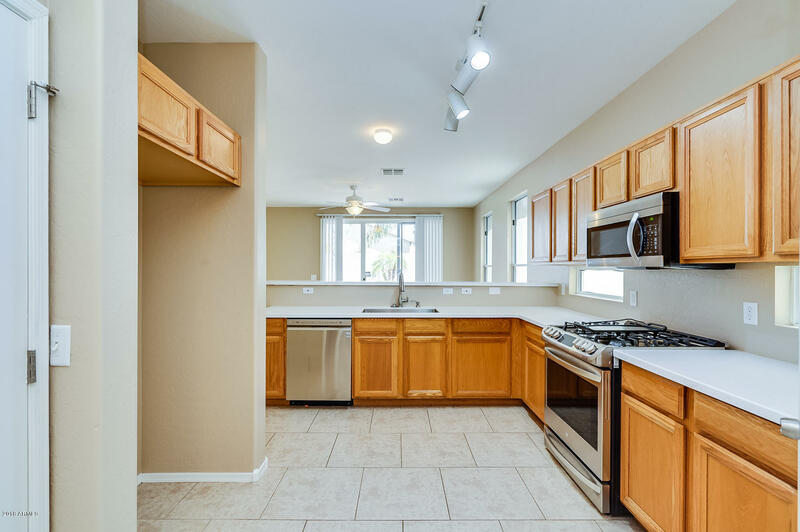 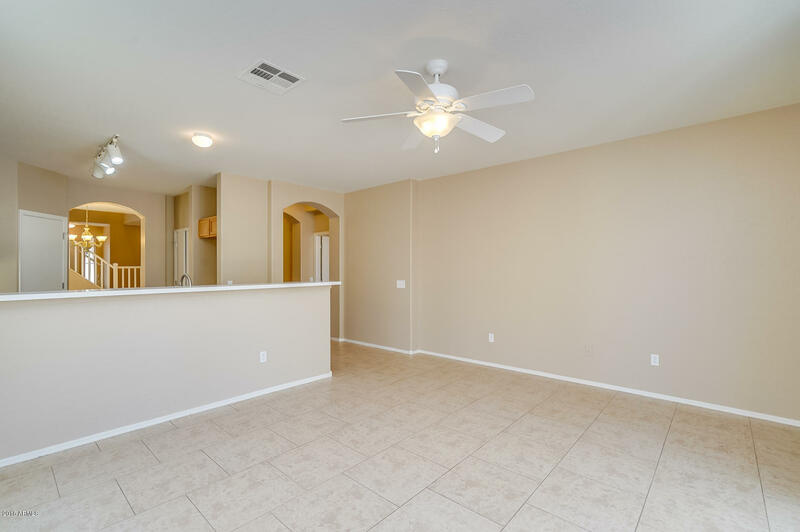 Spacious kitchen with stainless steel appliances and Corion counters overlooks the family room. 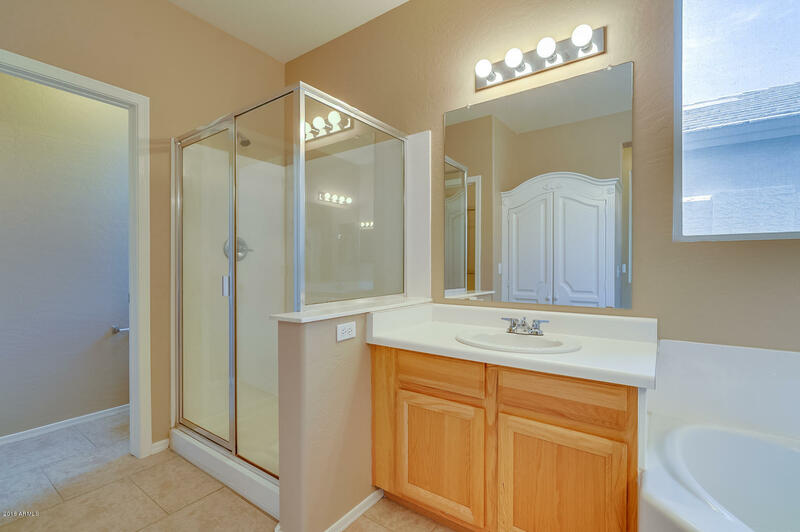 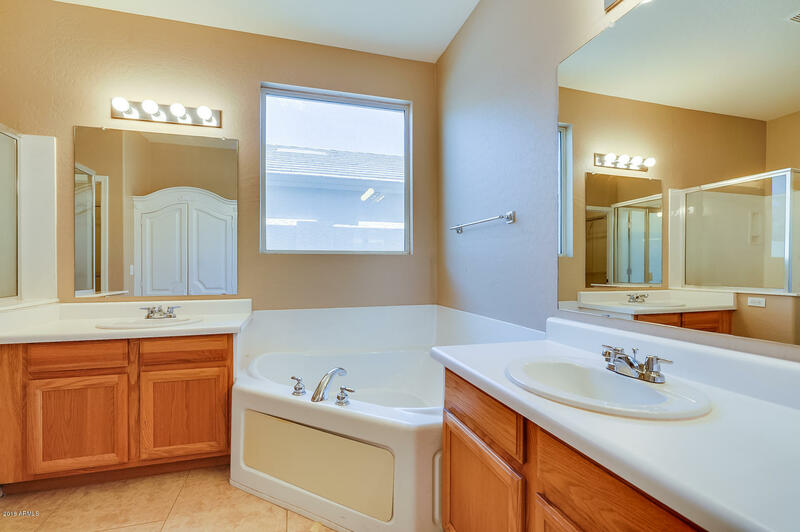 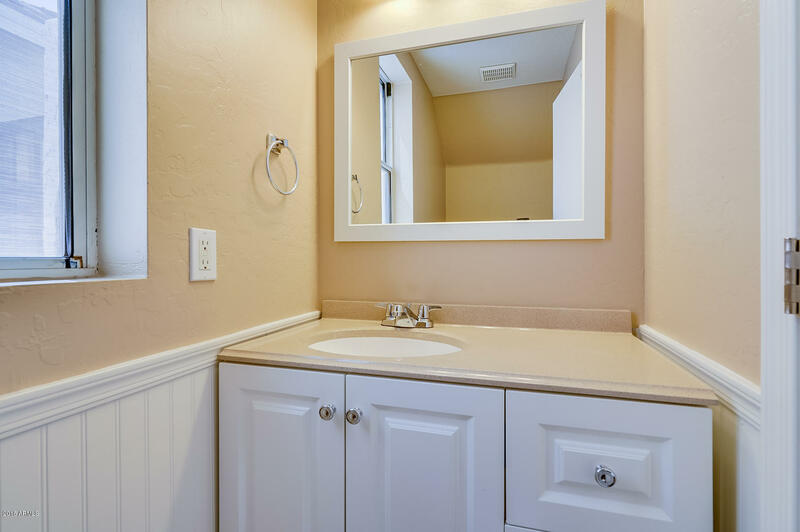 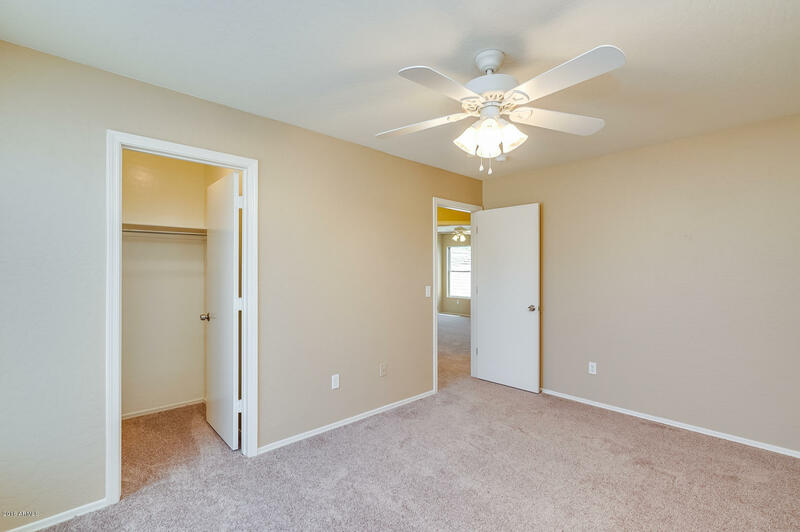 The Master bedroom is on the first level with access to the backyard and ensuite with dual sinks and separate shower/tub. 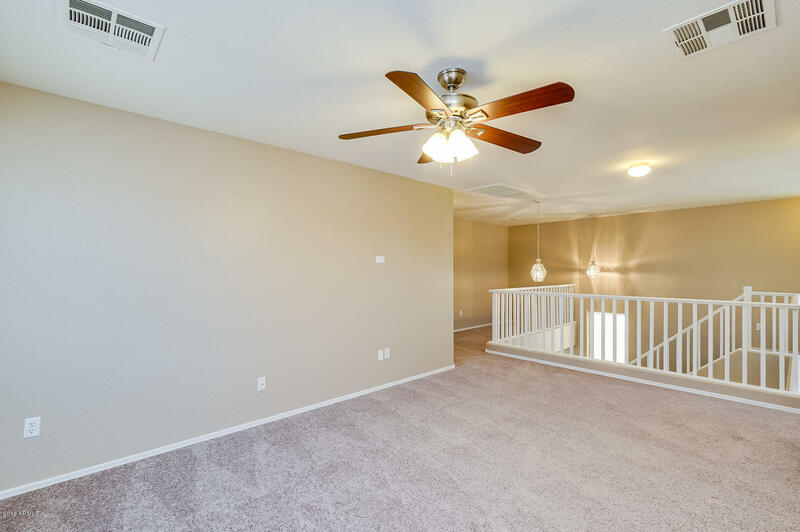 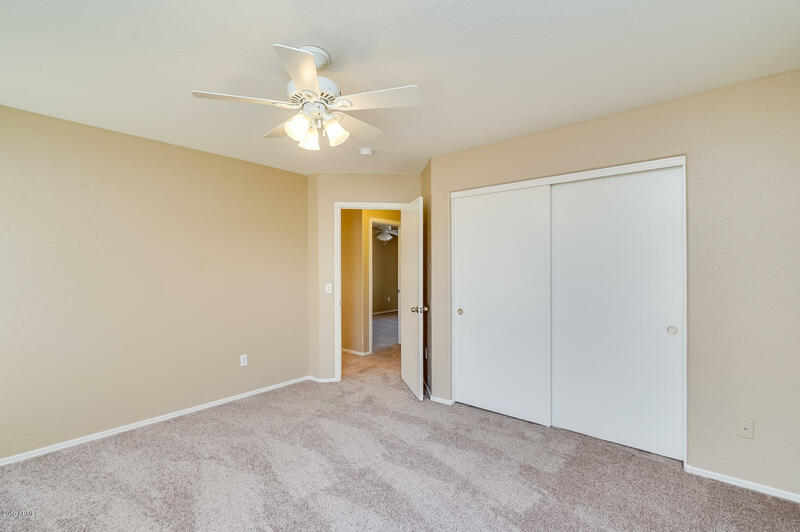 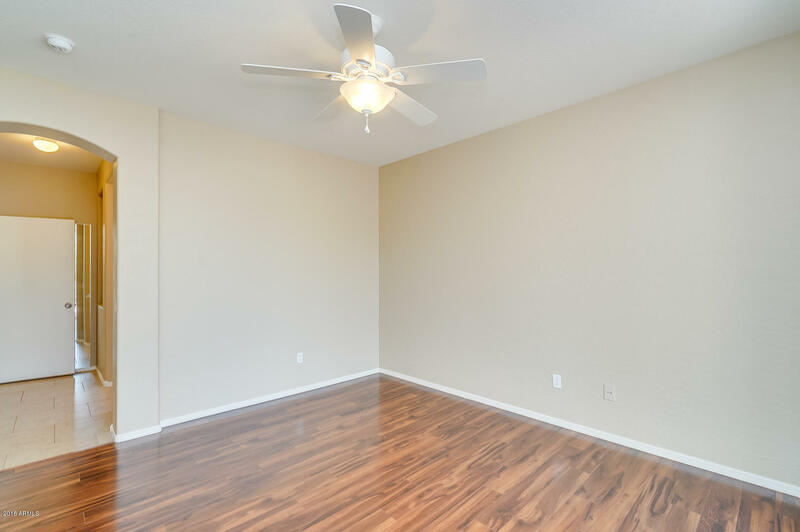 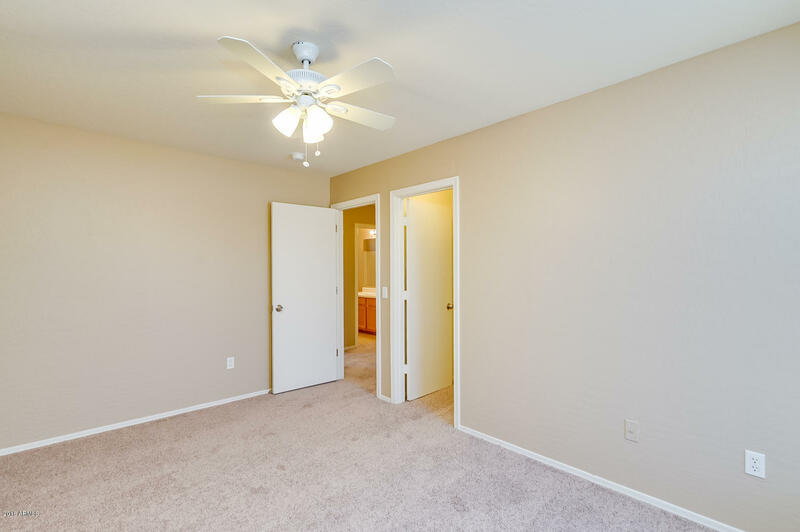 Upstairs are spacious secondary bedrooms with ample closet space and a great loft area perfect for an entertainment space. 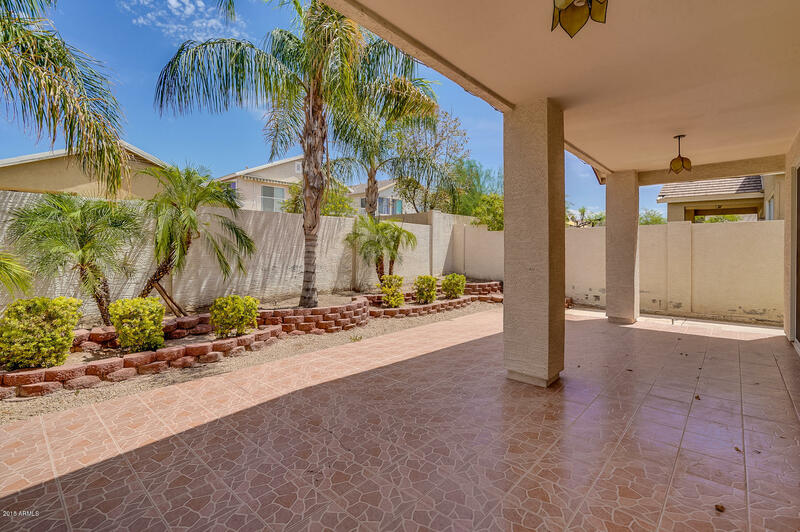 Fully covered patio with low maintenance landscape. 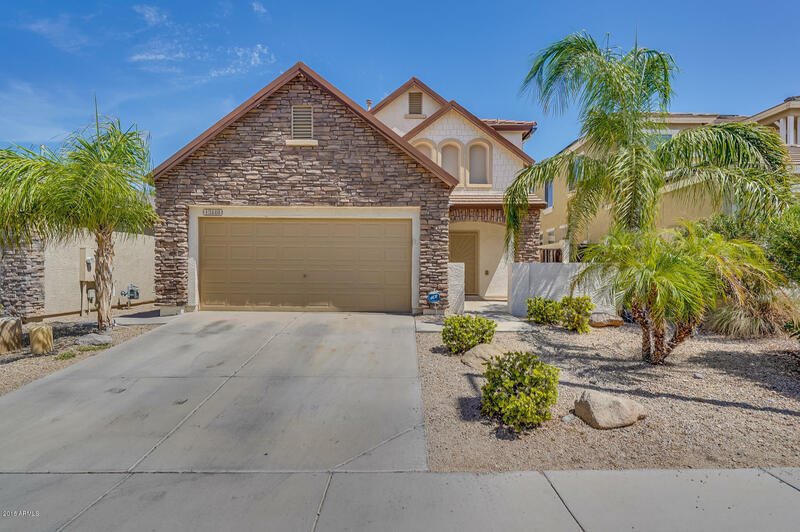 The neighborhood offers greenbelts, a playground and basketball court!